John Sanders (Phillips) is a former oil rig worker who took up life as a Louisiana fisherman after a fatal accident. His estranged wife (Swanson), a marine biologist who consults with an oil company, contacts him out of the blue because he’s apparently the only man who can pull off a new job. Facing monetary troubles, he and his partner, Emery, reluctantly agree. Meanwhile, a mobster type in the Virgin Islands has sent two thugs (Coolio and Van Ryan) to retrieve some stolen money that was dumped at the bottom of the same Louisiana river. The two groups’ paths cross when the thugs take Sanders and his crew hostage, but little do they know that they’re all being circled by a huge bull shark that’s been terrorizing the river. 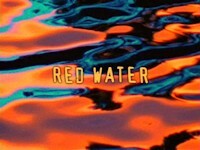 Amazingly enough, Red Water isn’t as bad you might expect. It’s by no means good, but it isn’t a laughable embarrassment, which is a huge victory within this particular sub-genre. I suppose the biggest problem is that it’s not at all what you’d expect because the shark is pretty incidental to the film. There are some attacks that establish its presence early in the film, and it returns during the film’s last act, but the meat of the film involves the conflict between the crew and the thugs. It plays out more like a drama or a suspense thriller at that point, and it’s okay at best. The film plays out in a pretty schizophrenic fashion with everything that’s going on. I’m not sure why filmmakers always feel the need to overly-complicate a killer shark film. In this case, it feels like the script for a shark movie and a crime drama were mashed up and thrown together. Just add Coolio, and you have Red Water. The shark action itself is a mixed bag. 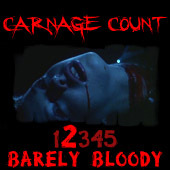 Though the film was made for television, it carries an R-rating; in truth, the amount of carnage falls somewhere in between. Most of the attacks just involve the victim being pulled under the water, with their blood floating up. There is a severed limb at one point, but it’s a relatively dry movie. This isn’t an altogether bad thing because it sort of harkens back to what made Jaws effective: not exposing the shark too much. We see glimpses of it throughout the film, but it isn’t seen too much until the end, which is the right way to go about it in a film like this. The shark is brought to life in the usual fashion: there’s an animatronic shark, documentary footage, and a smattering of CGI shots that are all too obvious. The mechanical fish is a good one, and was apparently the first one ever that could swim freely. For a low-budget TV movie, it’s a surprisingly decent effort in that respect. Otherwise, the film is a bit of a bore. The cast would have been considered strong if it had been made in the 80s or 90s, back when Phillips was known for his turn as Ritchie Valens in La Bamba, and Swanson was the vampire-slaying Buffy. Both fell pretty hard and fast for whatever reason, and here they are giving it their all. Phillips always has a natural charisma that I thought would surely make him a big star, and it’s on display here. Swanson is decent, and Rob Boltin is likeable as Phillips’s right-hand-man. Coolio is barely tolerable and tries to chew up any of the scenery that the shark leaves behind. The film is pretty well put together--the photography is actually pretty nice to look at and makes good use of the Bayou setting. There’s just some spark missing, which was no doubt never ignited by the script itself, which is just by the numbers and not very interesting. There are some nice moments and ideas in there. For example, there’s an early scene where the crew visits Emery’s Cajun family, and he warns his friends that the shark itself might be a spirit of vengeance that has come to protect the bayou from drillers. It’s a pretty neat idea that admittedly sounds a bit cliché , but at least it’s something that grabs your attention. There’s also a cool Jaws reference in the film, as the Louisiana license plate that Hooper pulls out of the tiger shark shows up. It’s not much, but it at least shows everyone’s heart was in the right place. And, quite frankly, I’ll take this level of mediocrity over some of the other atrocities the shark genre has churned out. So I suppose my two dollars were decently-spent, if anything. I can’t say it’s worth much more than that, but if you want to track down the DVD, Columbia Tri-Star’s release is adequate. There’s no special features, but the A/V presentation is pretty good. The transfer is 1.33:1, which I assume to be correct, given how many of the shots are framed. It looks good, if not a bit grainy, and the stereo soundtrack is similarly solid. If you really want to see the film, it probably is worth seeing on DVD because the television broadcasts are apparently cut. That said, you should probably really try to find it on the cheap like I did. If you can’t find it at liquidation prices, adding it to your Netflix queue is probably an even better option. Rent it!